The presentation began with a woman drawing ornate images in a pile of deep-blue sand, which was shown on a large video screen. Such acts display what the Cirque brand exceeds best at—stunts and effects that one could never imagine, yet thrill with their simplicity. Cirque du Soleil’s president and CEO Daniel Lamarre summed that quality up nicely when he took the stage after the first two acts. We’re a bunch of dreamers that like to push the boundaries of creativity,” Lamarre said. 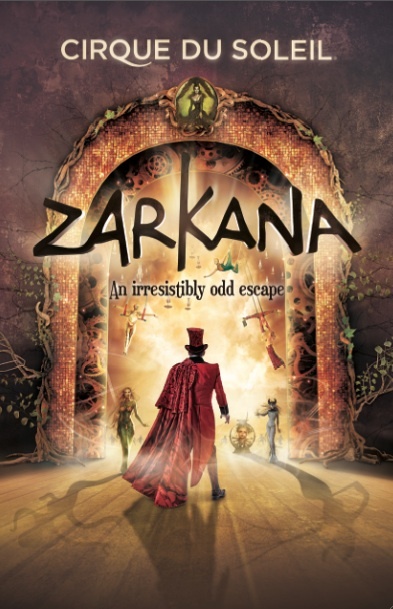 The remaining acts presented didn’t clue me in as to whether Zarkana would be a success or not, as one was a hit and the other a miss (much like the first pair of performances—the imaginative sand painting and the butter-fingered acrobats). Act II, so to speak, began with a performance called “Pickled Funeral,” in which the performers pushed a large, circular video screen across the stage that projected the image of a carnival-freak baby with numerous arms. Really, that was all there was to “Pickled Funeral.” Then came “Banquine,” which featured an incredibly up-to-par team of dancers, who flung each other across the stage, playing a game of catch with their own castmates as the ball. The Zarkana set by Stephane Roy is expansive, ornate, and slightly eerie, resembling the inner dungeons of a fairy-tale castle. One scene involved much use of spider webs, giving the show a Turn Off The Dark feel. 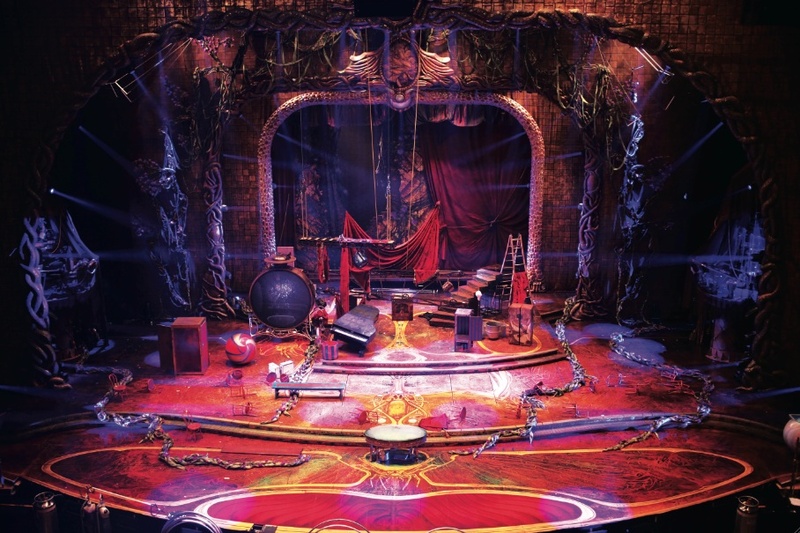 The music, composed by Nick Littlemore, has a rock opera flare and is appropriately overdramatic, matching the Cirque brand. 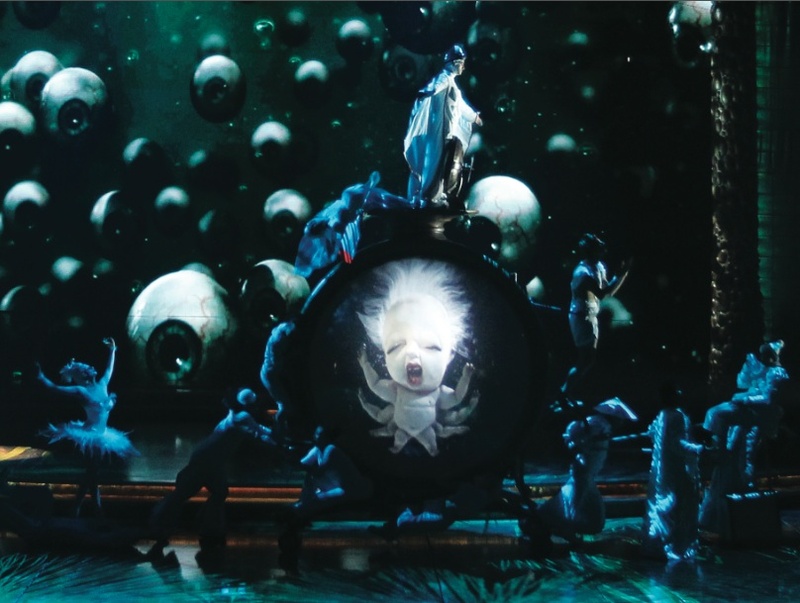 Are you excited to see Zarkana, Rushers? What do you think about the four acrobatic falls? Do you think they can pull it together in time for the opening, or is Cirque du Soleil slipping on a Banana Shpeel again? Leave your thoughts in the comments below! Well, someone has no understanding of circus art. People fall. That’s the nature of the business. Every act is not going to be perfect every night. To expect that is ridiculous. There’s a reason those safeties are there. I hope this production lives up to the Cirque du Soleil reputation of Las Vegas and does not use the name to draw crowds yet deviate from the winning formula. If the show sticks to a theme and bases the set, costumes, dance and music around that common thread, what more can a spectator ask for? Magic and mystery can be molded into an over the top performance, and that’s what I would expect. A scattered, safe and lifeless performance (WINTUK) is not how Cirque du Soleil built its empire nor is how it will command future pricey ticket sales. I saw it Friday night, and as my family and I managed to get tickets last minute, we missed the first 10 minutes, but otherwise, as far as I could tell, it was an absolutely flawless performance. The only objection I had to the amazing (my opinion, not my family’s) “Zarkana” was that it lacked a plot the audience could follow. After watching the whole show, I had little idea what the storyline was, only knowing what cool acrobatics there were. That was the entire reason I came upon this page, surfing the web in hopes of finding Zarkana’s plot. I wish people could follow along with Zarkana’s storyline; it would make it 10 times more enjoyable at least. However. the performance itself, which this reporter questions turned out to be perfection.